Silvertip mine, British Columbia, Canada. 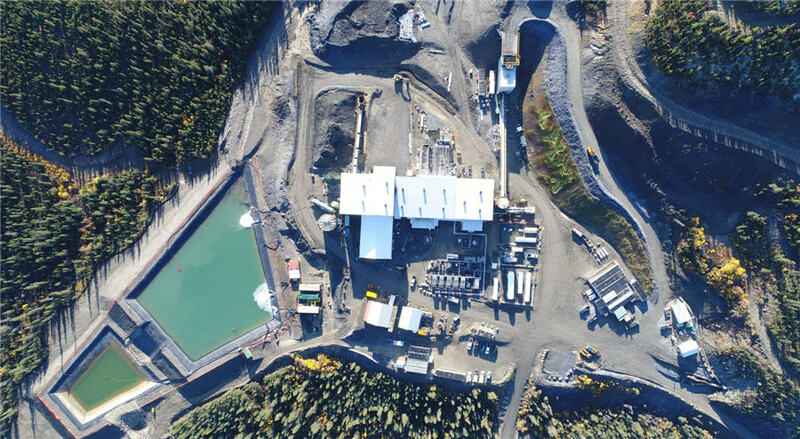 Image from Coeur Mining. Shares in Coeur Mining (NYSE: CDE), the second largest primary silver producer in the US, took a 3.9% hit Thursday, after reporting that first quarter 2019 gold and silver production had decreased at three of its five mines. Friday’s gold and silver spot prices were steady at $1,290.33 and $14.98 per ounce. Total production for the first quarter of the year was 78,336 ounces of gold, 2.5 million ounces of silver, 3.7 million pounds of zinc and 3.1 million pounds of lead. Metal sales for the quarter were 85,326 ounces of gold, 2.6 million ounces of silver, 4.7 million pounds of zinc and 2.7 million pounds of lead. Approximately 32% of gold sales in the first quarter, or 8,803 ounces, were sold under Palmarejo's gold stream agreement at a price of $800 per ounce. Full-year gold sales under the stream agreement are expected to remain at similar levels, the company said.